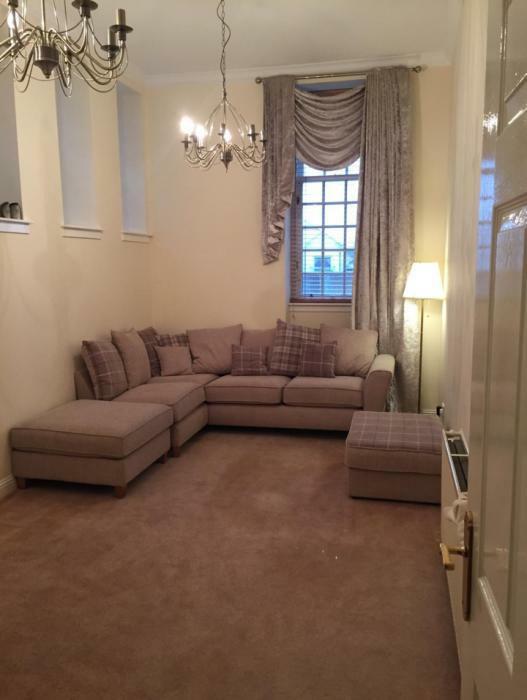 2 Bedroom Ground Floor Flat For Sale in Glasgow for Offers Over £135,000. Presented in walk-in condition the property comprises a well maintained communal security entrance, which provides access to the ground floor property. Welcoming reception hallway, impressive lounge boasting dual aspects, modern fitted kitchen providing a range of wall and base mounted units and integrated appliances. On the upper level there are two good sized bedrooms, both boasting substantial storage and the master offering ensuite facilities and completing the internal accommodation there is a modern three piece bathroom. The property benefits from high ceilings, gas central heating, double glazing, provides an abundance of storage and is set within well maintained communal gardens.